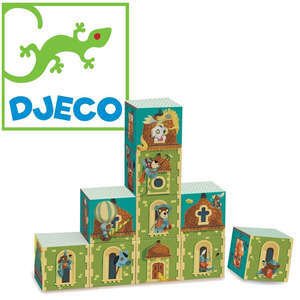 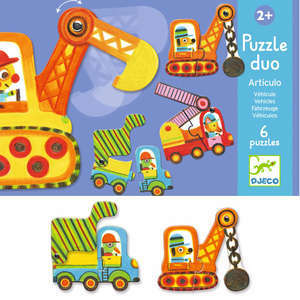 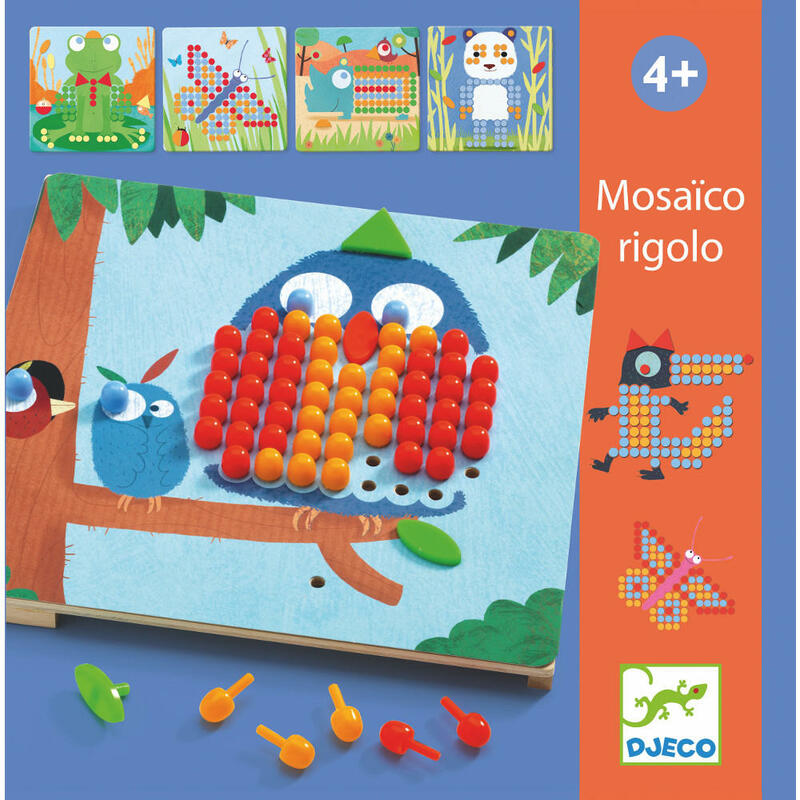 Create funny animal pegboard pictures with mosaico rigolo from Djeco. 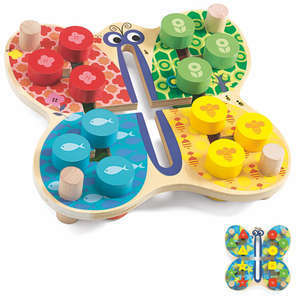 Place one of the 8 picture cards onto the wooden base and insert the colourful pegs into the pre-punched holes. 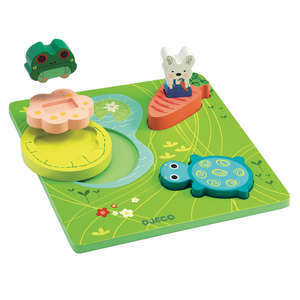 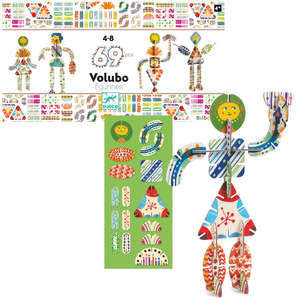 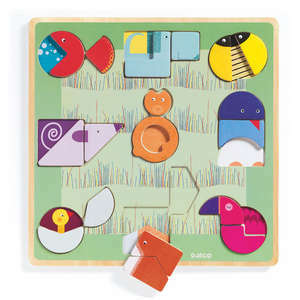 Use the base without the cards and design your own mosaic animals, people, vehicles and much more. 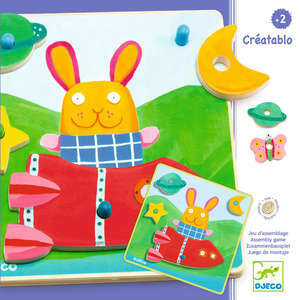 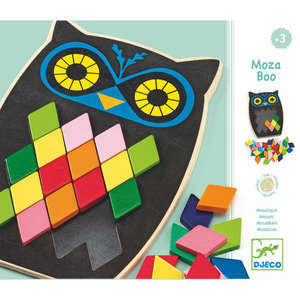 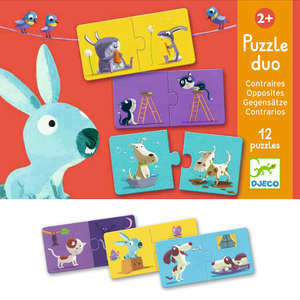 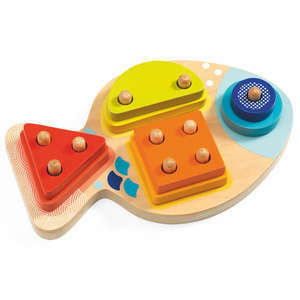 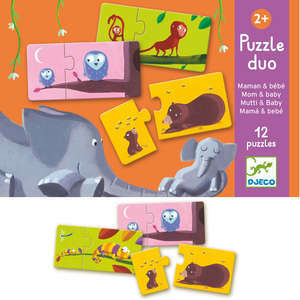 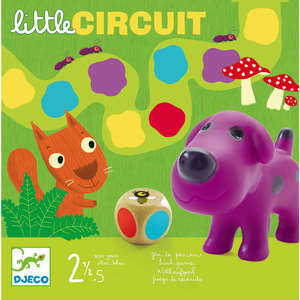 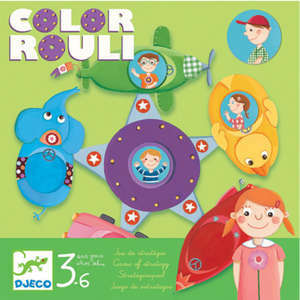 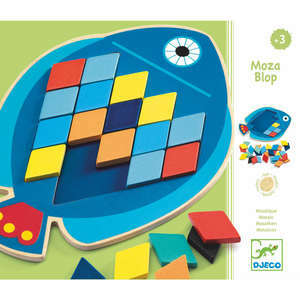 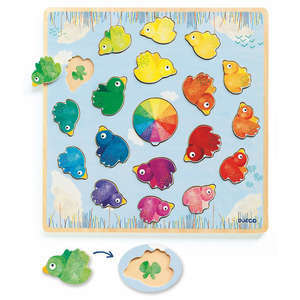 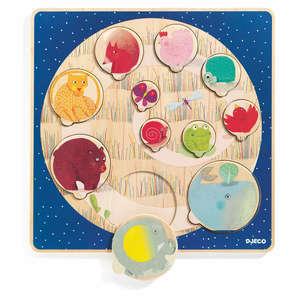 Includes a wooden board, 8 picture cards and 203 colourful pegs. 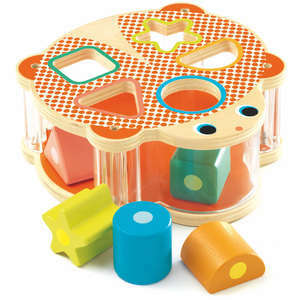 Approx size of box: 21.5 x 21.5 x 5cm.